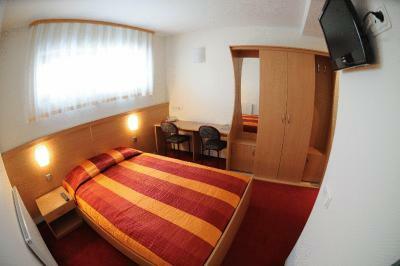 Clean and modern motel with friendly staff, a good shower & WiFi. The beds are basic, but fine for a night or two. Approx. 15 minute walk to the airport terminal, so it’s good for early/late flights. Horrible place. Inside kabab place. In the middle of petroleum station. Highly irrecomend for anyone. 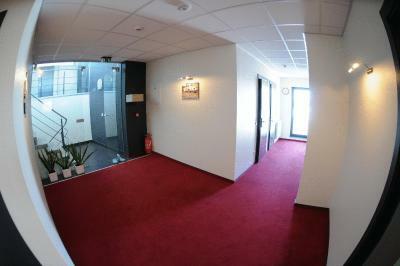 Good location if you have to stay close to airport. Clean rooms, helpful staff. Free wifi. Good value for money. 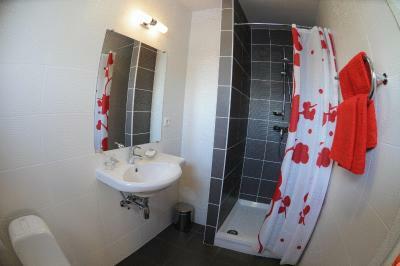 Close to the airport, price for taxi will be pretty low and it is accessible on foot. 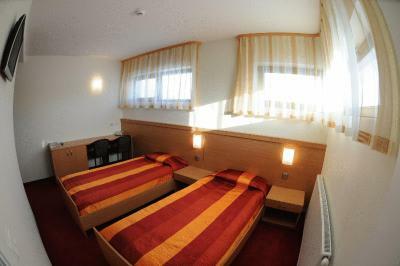 Room is pretty clean and has air conditioner. 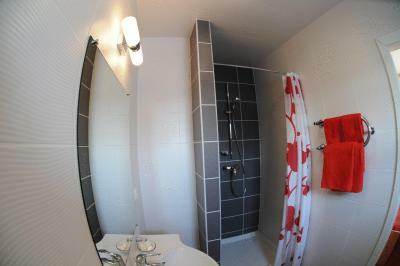 Shower room is as well good. Close to the airport, clean, food options available till late time. 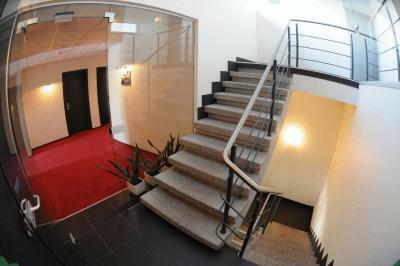 Good location, 20 min walk to the airport. You have a 24 H reception. If you are hungry you just go downstairs and you can order some food. Also they have a store, you can buy sandwitches, juices, water and more. Breakfast is good (for me) just somethig from the menu and a large coffee or tea. 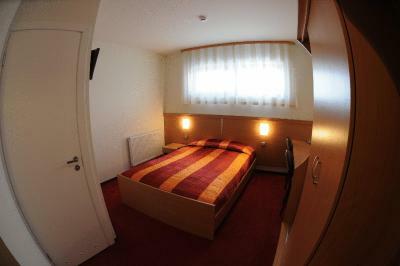 Very good Motel for a very good price, near the Airport! 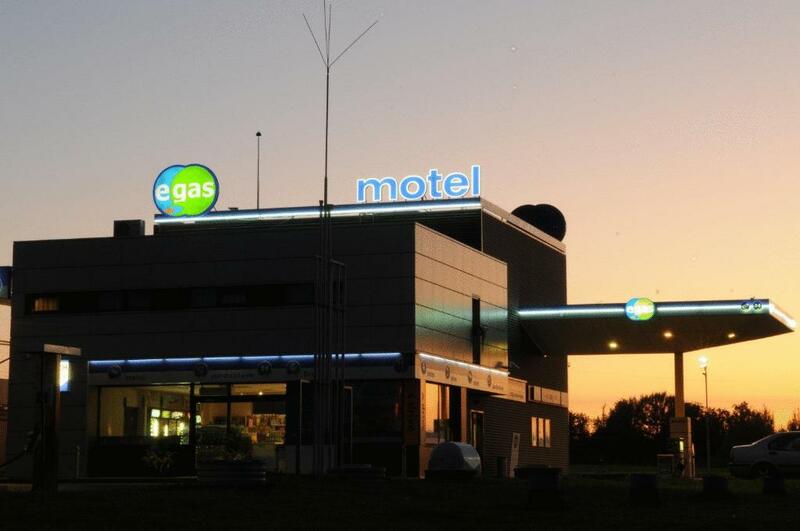 Egas Motel This rating is a reflection of how the property compares to the industry standard when it comes to price, facilities and services available. It's based on a self-evaluation by the property. Use this rating to help choose your stay! 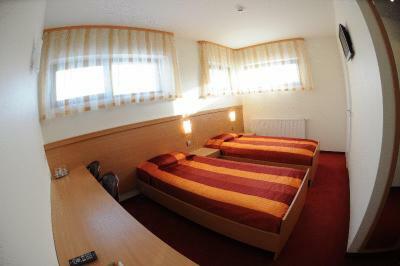 Egas Motel is a 15-minute car ride from Vilnius Castle and less than 1.2 mi from Vilnius International Airport. 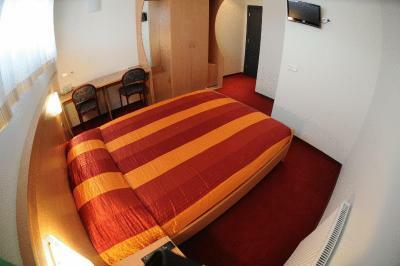 It offers free secured parking, small breakfast and free in-room Wi-Fi. 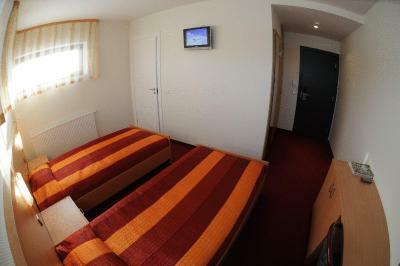 All rooms are equipped with a little desk and cable TV and have a private bathroom with toilet and shower. Egas provides ironing and 24-hour front desk service. 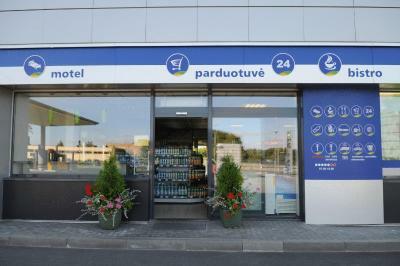 Snacks and drinks are available, a 24-hour grocery store as well as a gas station are also located on site. The historic center of Vilnius is only 2.5 mi from Egas Motel, the main train station is 1.9 mi away. 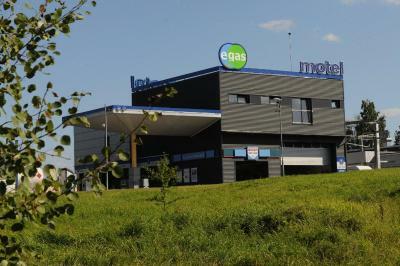 Conveniently located 1,000 feet from the A3 motorway exit and 1,950 feet from IKEA, guests of the Egas can reach the Hyper Rimi Shopping Center within a 5-minute car ride. Naujininkai is a great choice for travelers interested in shopping, local food and sightseeing. When would you like to stay at Egas Motel? Modern room with a bathroom. House Rules Egas Motel takes special requests – add in the next step! Egas Motel accepts these cards and reserves the right to temporarily hold an amount prior to arrival. 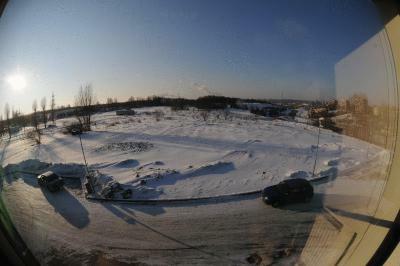 Not far from the airport. Breakfast is pretty poor. The motel is situated on the 2-4th floors of cafe near gas station and "breakfast" is the food from that cafe: kebab, burger or sandwich. Honestly, there's nothing to complain about. The morning breakfast was very good! 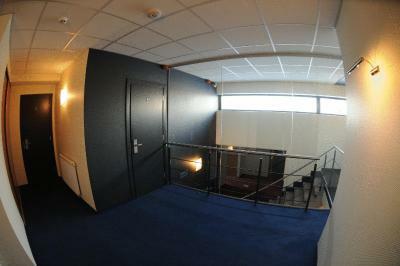 There is an airco in the room. And he is pointed right on your bed. He makes a lot of noise and you get cold wind in your face the whole time. Probably you can ask them to shut it down. But I came late and just wanted to sleep. So didnt go downstairs to ask it. Breakfast is from kebab place downstairs. 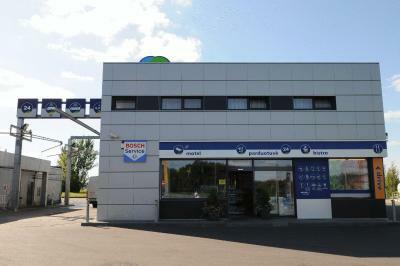 This hotel is also a petrol station! The breakfast choices were poor.